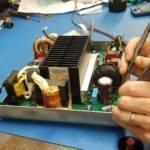 Advanced Technical Services is an ISO-9001 certified Telecom equipment repair solutions are engineered to meet the highest standards of quality and delivery to support the ever increasing demands of our Telecom customers. The ATS Repair team is committed to delivering the highest level of customer satisfaction throughout the repair process and offers a variety of equipment repair and logistics solutions designed to minimize equipment downtime to keep your network operating at peak efficiency. 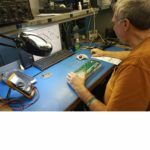 Since 1981, our team of highly skilled engineers and technicians have supported the needs of major telecom customers and OEM's. Since the company's inception, our technical staff has repaired over 15,000,000 electronic products for our customers. ATS support solutions include a dedicated in-house technical staff for faster repair cycle times. 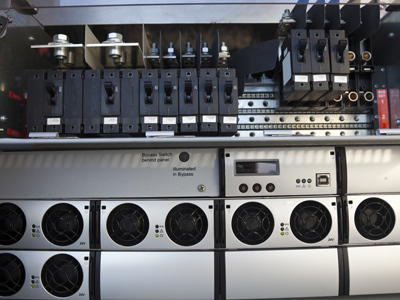 Our advanced exchange and spares management programs help eliminate outages in telecom sites. ATS warranty screening programs help to free up your internal resources and make certain critical equipment is available when and where it is needed most. 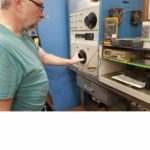 With over 300 years of combined technical experience, our team allows our telecom customers to have a single point of contact for all their test and repair needs. The ATS Warranty Verification Program can simplify your repair process by managing all of your defective network products through a single source. Our team will receive your defective units directly from the field, determine if they are under OEM warranty and either repair them internally or manage the repair process through the appropriate OEM vendor. 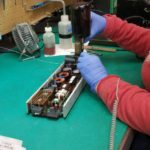 ATS Warranty Verification and Repair Programs allow our telecom customers to focus their internal resources on important corporate initiatives while ATS manages their back-end equipment repair needs. ATS provides multi-vendor repair services across wireless, optical, transport, wire-line and power equipment. Advanced Technical Services experienced equipment repair specialists provide industry-leading quality, cycle time, and the highest repair yields, of any repair provider. ATS offers a variety of flexible options, from single unit emergency repairs, to multi-vendor longer term service agreements.